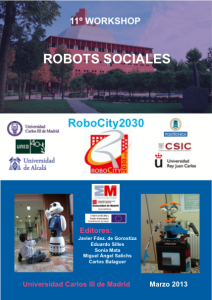 The aim of this 13th Workshop was to present the results of several running EU projects of the members of the RoboCity30 cluster, some of them developed jointly by universities, companies, spin-offs and municipalities. 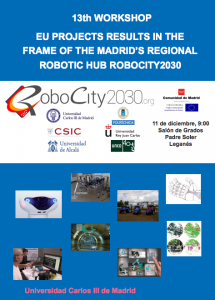 The creation of synergies at regional – Madrid – and European levels is the main added value of this cluster. 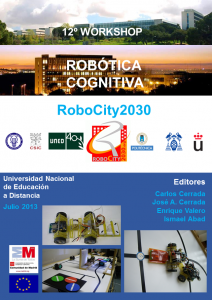 In this new edition RoboCity13 was a national meeting point around robotics for professionals, students and the general public. 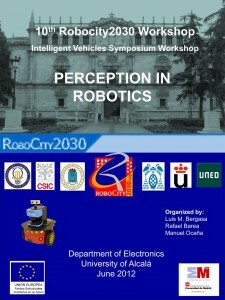 The experience gained in the 2012 edition, RoboCity12, the interest generated and the results supported this event. 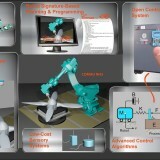 Work Fields: New concepts in Human Robot Interaction (HRI). 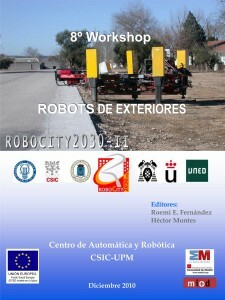 Human behavior in robots. 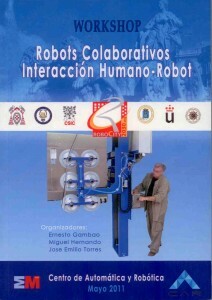 Comportamiento humano en robots (verbal and nonverbal). 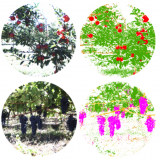 Software architectures to support cognition in robots. 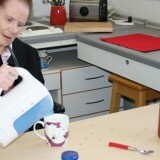 Selection of actions and behavior sequences. 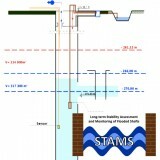 Knowledge representation. 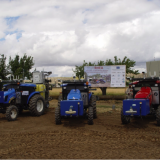 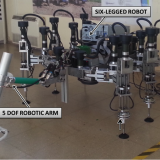 Work Fields: Human Robot Interaction and collaborative work.